When I read the 2015 Earth Day announcement on the University’s Media Room web page, I took note of the fact that Villanova University has participated in Earth Day events since its inception in 1970. Even though local Earth Week events in 1970 took place primarily in Philadelphia, Villanova was one of three colleges and universities to offer to host additional Earth Week events. Villanova now proudly boasts a full week of events that include a day of service, a farmers market, a climate march, and scholarly lectures. 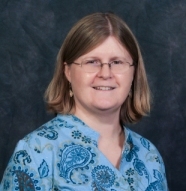 There will also be a panel on sustainable solutions, which is being held in Falvey Memorial Library. 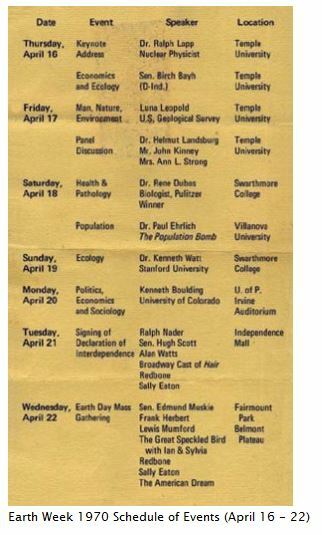 Below is a list of the 1970 Earth Day events, including a lecture at Villanova University on April 18, 1970, and a video of the full Walter Cronkite news report on the evening of the first Earth Day. Photo and video courtesy of the 1970 Earth Week Committee of Philadelphia. ‘Caturday feature by Luisa Cywinski, writer on the Communication & Service Promotion team and team leader, Access Services.